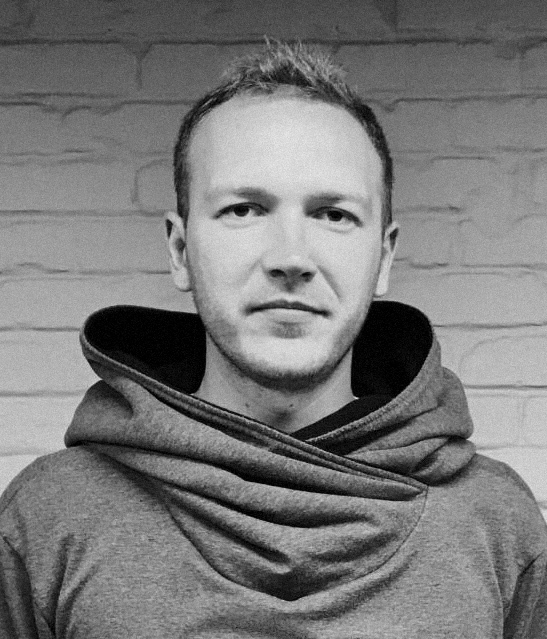 Human-Centered Design has been fashionable for quite a while now. The basic idea, that everything is created for people and that you have to focus on them above all else, makes sense. But beyond the matter of empathy, which is relatively clear, basic questions have arisen: why do people behave as they do? What guides them? How do they make decisions? To answer such questions, developers of digital products have taken up psychology and neuropsychology. Humans aren’t the most rational beings on the planet; it might be closer to the truth to say they’re not rational at all. Most of our day-to-day actions are habits based on emotions. Brain tissue uses 20 times as much energy as the equivalent volume of muscle tissue. When people make a lot of decisions, they get tired quickly, and cognitive tiredness is much harder to deal with than the physical variety. In order to maintain the body’s capacity to work, the brain is constantly looking for ways to save energy. As soon as it understands that in similar situations we act in the same way, the brain turns the actions that get repeated into a habit, which allows them to be performed with practically no drain on cognitive resources. A range of studies have shown that habits underlie 40 to 80% of the actions people perform. We don’t think about how to tie our shoes, turn on the light, check our email, or scroll through our newsfeeds on social networks — and there are tons of other things we do without having to think, things we often don’t even remember. Habits began to be studied more than 100 years ago. The American market guru Claude Hopkins thought up an advertisement for toothpaste that went something like this: “Pass your tongue along your teeth, and you’ll feel a coating. That’s what discolors your teeth and causes dental problems. But see how many beautiful smiles there are around you? Millions of people are using a new method to keep their teeth clean. Why should a woman’s teeth be coated in grime? Let Pepsodent get rid of it.” The ad worked so well that toothpaste became one of the best-known products on the planet, even though brushing your teeth hadn’t been seen as a necessary ritual up to that point; people cleaned their teeth in other ways. This approach to crafting advertising messages made Hopkins a legendary figure, and he went on to write several books and give lectures on the subject. He was able to identify the scheme of cue and reward. In the late 1980s and early ‘90s, scientists began studying how habits form and how the brain behaves as they do. The Cambridge neurobiologist Wolfram Schultz and his team carried out a series of experiments to study the activity of the brain’s reward center. Monkeys were shown various images; when certain pictures came up, the animals could press a lever to get juice. The monkeys liked the juice and quickly learned to move the lever to get their reward. Thus, an action appeared in the scheme of habit formation. In any habit, there’s a cue (the trigger that launches the process), an action, and a reward. Subsequent experiments showed that when the reward ceases to be obvious, interest skyrockets. A monkey will press the lever much more excitedly if it doesn’t always get juice, and much more dopamine is released in that case. Dopamine isn’t the hormone of happiness, it’s the hormone of anticipating happiness. It’s released the moment a trigger appears and falls off sharply when the reward is received. From the point of view of neuropsychology, people don’t want to buy apartments, meet their ideal partners, or earn a lot of money; they want to get rid of the desire to buy, meet, and earn. As soon as we get what we want, the level of dopamine falls. Mystery is the spice of life. With that in mind, in one of our products, we made cards with offers and gifts from partners. To see what’s there, the user has to swipe the card away — but there’s not always a gift underneath. That approach to presenting information produces a much more dramatic spike in dopamine, and the user has a much harder time not looking to see what’s there. In neurobiologists’ experiments, the monkeys pulled the lever when certain images appeared. In this case, the images were the trigger needed to launch the brain’s habit algorithm. Anything could launch it: an image, a place, a situation, a person, a word, a smell, a set of conditions. The trigger signals to the brain that it’s time to activate the habit and release dopamine. In designing products, then, it’s important to find triggers for the user’s brain to respond to. There are external and internal triggers. Internal ones reflect the internal need for dopamine. For example, in the middle of a workday, I find myself scrolling down my Facebook feed and can’t figure out how I got there. The explanation is that my tired brain remembers that I’ve gone to Facebook before and found it interesting. The holy grail here is combining external and internal triggers. For instance, in the morning, I want coffee. That’s an internal trigger, and if at that moment I walk past my favorite cafe, where I’ve bought plenty of delicious coffee, the likelihood that I’ll go inside is overwhelming. How do we find triggers? The Customer Journey Map helps, of course, since it describes the entire process from the moment a person first feels a need and thinks that something should be done about it. 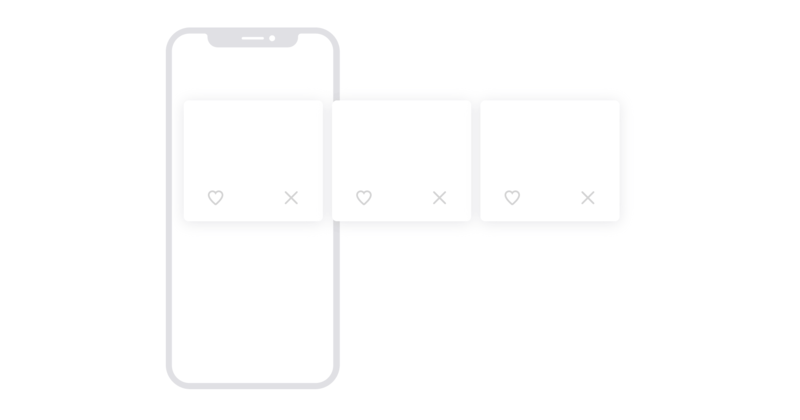 When designing apps for ordering products, we list all the possibilities for where a person might be and what might be happening when the first thought that he or she needs a product arises. The method of the five why’s works beautifully in conversations with users: by asking that question repeatedly, you can uncover a person’s deep needs and arrive at last to the trigger. So, you’ve got the trigger, but how do you get an action to follow it? B.J. Fogg, the director of Stanford’s Persuasive Tech Lab and the head of its Behavior Design Project, has a simple formula: motivation to perform an action, ability to perform it, and a trigger (what he calls a prompt). Here’s how it works: I have very high motivation, but the thing is too difficult. Or it’s easy to do, but there’s no reason to. As soon as I have both motivation and opportunity, triggers start working. The key to this system is ability: you need to make the action as simple as possible. Here’s an example: an app lets you schedule appointments with the barber. How does a man usually make an appointment? A month after my last haircut, I want to go again. I have an approximate date in mind, which I proceed to forget. A couple of months later I look in the mirror and see a mangy monkey, pick up my phone, open the browser, find the site of the barbershop, open it, find the barber I want, look at his schedule, choose the most convenient time, make the appointment, memorize the date or make a note, and, when the time comes, go to the barbershop — when you think about it, that’s a long series of steps. You’d actually like to get a haircut every month or month and a half, but after a couple of months you find a shaggy gorilla in the mirror and start frantically searching for a barber. To prevent such tragedies, we added a function that sends you a notification after your first appointment: “Hey man, you haven’t been to the barber for a month. Your barber has a free slot from 7 to 8, and there’s nothing in your calendar for then. Schedule an appointment?” You just needs to press “yes” to do so, the appointment is added to your calendar, and on the day of, you get another notification. We relieved the user of the need to reproduce the entire sequence of steps, because no matter how strong the motivation is, this is all quite complicated, and the brain wants to delay the action. The logic of the habit loop requires that a person receive a reward following an action. — Everyone wants to get pleasure and avoid pain. — Everyone wants to have hope and avoid fear. — Everyone wants to gain social acceptance and avoid rejection. Rewards come in three kinds: rewards of the tribe, rewards of the hunt, and internal rewards. Rewards of the tribe are connected to being approved of in society. We can be a thousand percent independent and tell ourselves we don’t need anyone — but that’s the consciousness, or neocortex, talking. A different part of the brain is responsible for forming wishes: the limbic system, which we can’t consciously control. Hence social media’s sudden explosion of popularity — it’s the easiest way to gain social acceptance and get feedback. Never in human history has it been easier to be acknowledged. The reward of the hunt: in the context of social networks, this is content. I scroll through Facebook or Instagram, eventually I find a post that I like and start commenting and reposting, people respond — the reward of the tribe. Internal: the reward for the sake of the reward. For instance, in a computer game, it’s the process itself and the knowledge that you were able to beat the level. With the coming of the digital age, the issue of habit formation in the digital sphere became relevant. 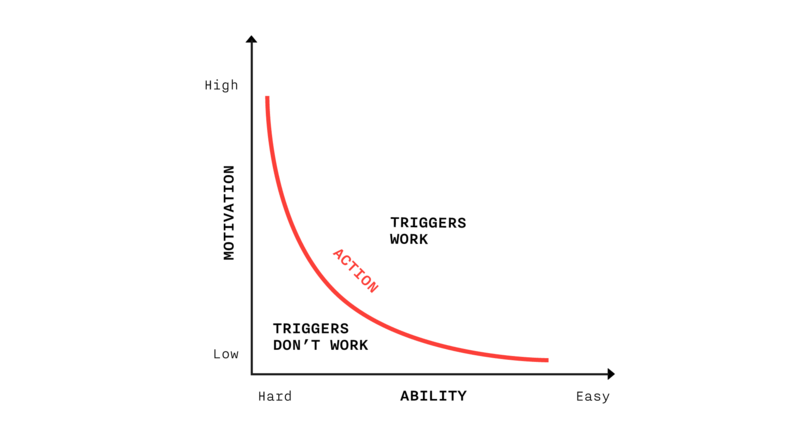 The author of Hooked, Nir Eyal, expanded the theory worked out by researchers and neuropsychologists by adding a fourth element to the scheme of trigger, action, and reward: investment. This is the time, energy, and attention spent by the user. As soon as we devote a certain amount of time to a product, we start to view it differently, feel that it’s ours. For instance, when they put together playlists on Apple or Yandex.Music or add friends on social networks, users experience the products as being more geared toward them in particular, more personal, closer, and it becomes harder not to use the products. Training an AI by answering questions is, again, an investment, which creates the sense that the product has value. This is the basis of Yandex.Zen, for instance. The problem is that investment isn’t one of the steps in habit formation. It’s needed at every stage, or it can happen at the wrong moment. Therefore, if you’re trying to create a real user scenario based on this scheme, it often turns out that following investment, the user needs a reward. Investment is important, but it’s present at every stage, since even an action is essentially an investment of time. When designing an app in which users were supposed to train an AI by answering questions, we created a few question cards. Here’s another lifehack: if you want to get someone to do something difficult, start out by asking him or her to take the first step or do a simplified version of the task. 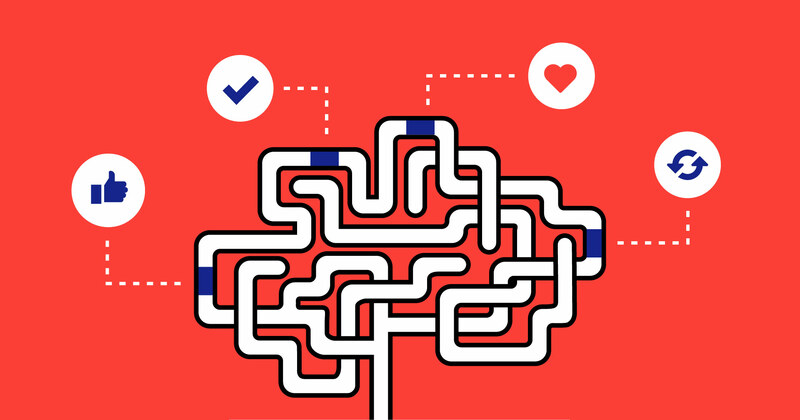 In this case, we had users answer yes or no to one simple question, and when they were shown three question cards a while later, the brain already knew what was happening and acted according to habit, increasing the likelihood that we’d get answers. How do you apply this to a product? 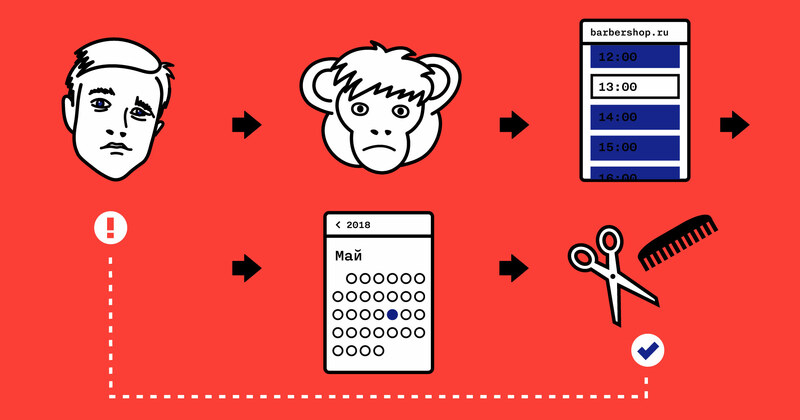 We develop models of backlog scoring and assign features priority based partly on the stages of habit formation: how much we need triggers and rewards. We have brainstorm sessions for each stage of the Customer Journey Map in order to come up with triggers, rewards, and investments. Often, user scenarios include routine actions that take up a fair amount of time. According to Daniel Kahneman’s research, when people perform long, monotonous actions, only the last element remains in their memory. Applying this fact to digital products, we can conclude that at the end of routine operations like transferring money to an organization using a bank’s mobile app, it makes sense to create a pleasant success screen. That way, pleasant emotions about the whole process will remain in the user’s memory. Designing habit-forming products can make people’s lives easier and more interesting. So let’s get to it!